When benign (noncancerous) tumors of either schwannoma or, meningioma grows in the brain from; neurofibromatosis type 2 (NF2), or from spontaneous tumor development; tumor growth is typically slow, at a rate of 1mm a year. The exact rate of growth of tumor varies from person, and tumor by tumor in the same person for different reasons. This slow growth allows the brain time to adjust to enlarging tumors; this can prevent brain trauma due to growth alone and be an advantage because the expansion of tumors can occur for many years without requiring treatment. Some of the brain issues that can occur may be the result of; 1) rapid or increased growth rate, 2) surgery, 3) radiation/radiotherapy, 4) tumor drug-treatments (clinical trial chemotherapy molecular targeted tumor therapy). Cerebrospinal-fluid (CSF) is a clear and colorless fluid that needs to continuously move through a membrane that surrounds the Central Nervous System; brain and spinal cord. 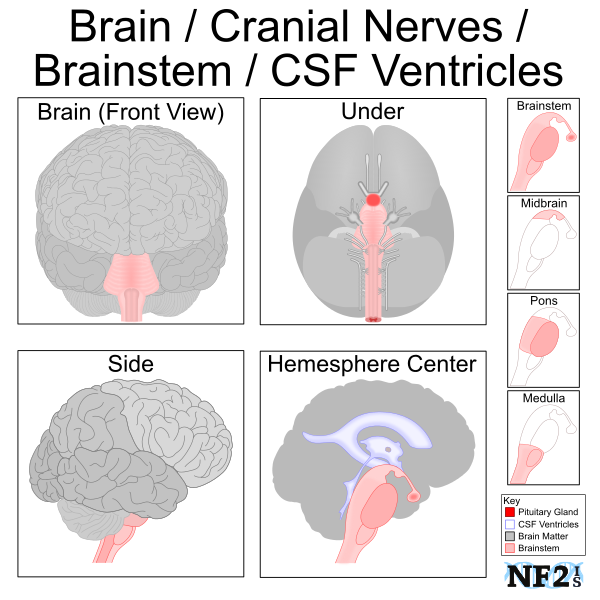 CSF needs to continuously flow from brain to spine and as tumor burden increases, where the flow stops can be fatal. There are warning signs that this is happening and different treatment options. Tumor growth can cause issues with the necessary flow of CSF from the brain into the spine. There are two forms of Cerebrospinal-fluid flow issues that might develop; intracranial pressure (obstructive hydrocephalus) and CSF leak (Intracranial Hypotension). A stroke occurs when the blood supply to the brain is interrupted or reduced; this deprives your brain of oxygen and nutrients, which can cause your brain cells to die. 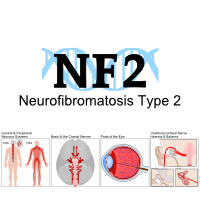 Strokes are commonly the result of blockage of an artery in the chest, but for people with NF2 are more commonly the result of an artery in the brain from either a brain tumor or multiple tumors. A stroke may be the result of a blocked artery (Ischemic Stroke) or leaking or burst blood vessel (Hemorrhagic Stroke). Some people may experience a temporary disruption of blood flow through their brain (transient ischemic attack (TIA)). Cognitive issues from tumor growth can be temporary particularly if the result of tumor growth or surgery. Cognitive issues are more likely to not recover following radiation/radiotherapy treatments, particularly when used as a treatment for younger individuals. 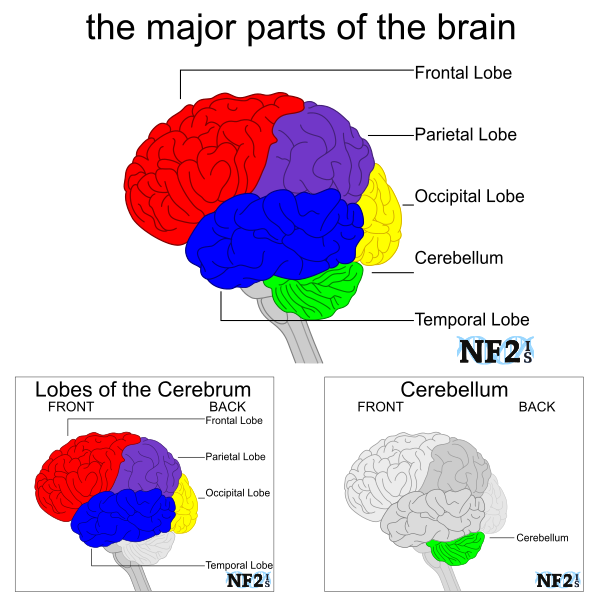 There are two major regions of the brain Cerebellum and the Four Lobes that make up the Cerebrum (aka Telencephalon). 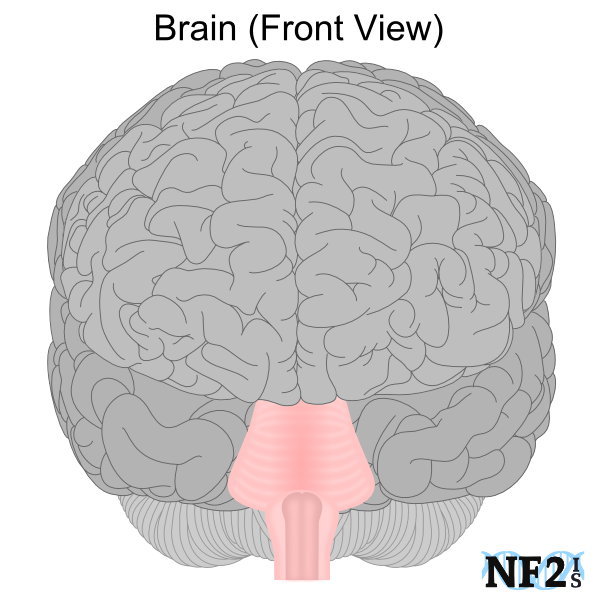 Each of these regions of the brain is responsible for different functions. Frontal Lobe: The frontal lobe is responsible for; thinking, reasoning, conceptualization, planning, attention, memory, motivation, and parts of speech. Parietal Lobe: The parietal lobe is responsible for; movement, orientation, calculation, recognition, language processing, and perception of sensory information. Occipital Lobe: The occipital lobe is the visual processing center of the brain. Different areas of the occipital lobe affect different areas in the visual field in the eye on that side of the brain. Temporal Lobe: The temporal lobe is responsible for the formation of; long-term memory, auditory perception, understanding speech and vision, retention of visual memories, processing sensory input, emotion, and deriving meaning. 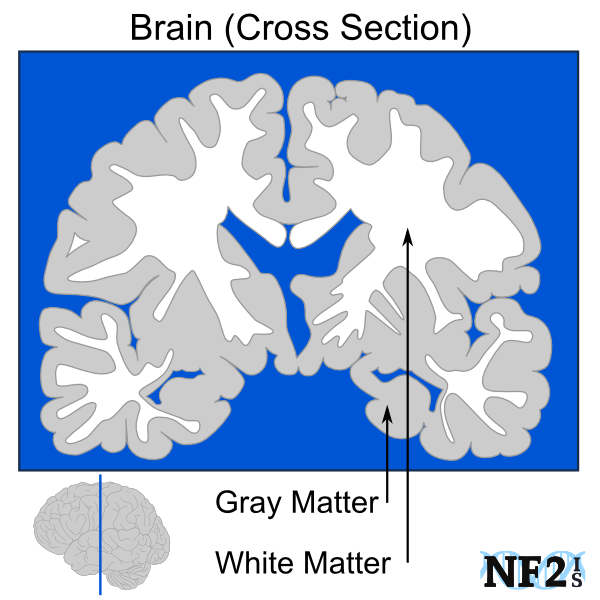 White Matter: Manages the distribution of action potentials, acting as a relay and coordinating communication between different brain regions. Grey Matter: Processing and Cognition - muscle control, sensory perception including; seeing and hearing, memory, emotions, and speech. Left Brain: Controls the right part of the body. In the brain controls language and logical functions including math. Right Brain: Controls the left part of the body. In the brain controls creativity, music, visual imagery, and recognition. Men and women access different parts of their brains for the same tasks. Women have more White Brain Matter. Men have more Gray Brain Matter. From birth, the brain continues to develop and continues to do so while an individual encourages their brain to continue to learn. As people grow older, brain development slows down; believed to start when people are over the ages of eighteen (18) - twenty (20), but tumor damage from growth or surgical removal of a tumor can result in the advantage of Neuroplasticity which offers the ability to develop after early ages of life. Neuroplasticity offers an opportunity for brain expansion to allow an ability to learn a language due to hearing loss like; sign language, or the brain learning to work to understand how to with an Auditory Brainstem Implant (ABI). Encouragement of brain development with the education of new things can help recovery from Cognitive Issues resulting from; brain tumor growth, or brain surgery. The butterfly is the symbol for NF2 for the connection of its adaptability. National Science Foundation. "Plastic Brain Outsmarts Experts: Training Can Increase Fluid Intelligence, Once Thought To Be Fixed At Birth." ScienceDaily. ScienceDaily, (6 June 2008). Hunt, Andy. Pragmatic Bookshelf. "Pragmatic Thinking and Learning - Refactor Your Wetware." Kim, Hun Joo. "The prognostic factors related to traumatic brain stem injury." Journal of Korean Neurosurgical Society 51.1 (2012): 24. John Hopkin "What is Ataxia?"